Visit the most beautiful places in Cracow in an unusual way! During the tour by Segway you will have the chance to learn the history of Cracow, discover the outstanding architecture and listen to interesting stories about the life of the locals. All this in a relaxed and fun atmosphere. Sightseeing by Segway is a unique and safe way of spending time and is becoming more and more popular among tourists who want to discover the heritage and the culture of the city. 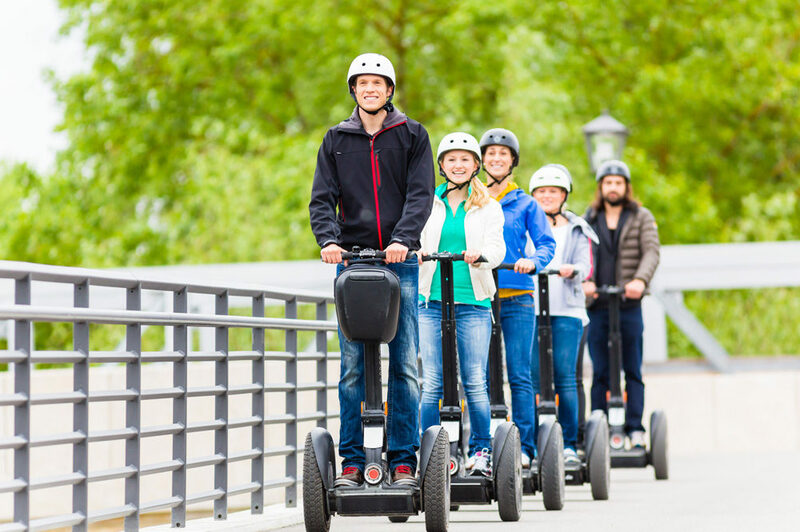 Those who have never driven a Segway don’t need to worry – every tour is preceded by an instruction provided by a trainer who explains the principles of Segway’s operation and gives time to practice. Only after all tour participants feel safe, the tour can start. It contains visiting Old Town, Kazimierz or both districts. The price of the tour doesn’t include ticket entries. In case you are interested in visiting any place, contact us.